The “proudly all-Boeing” Alaska Airlines is no more. With the Virgin America merger done from a customer perspective, there are both Airbus and Boeing fleets flying under the Alaska brand. For the most part, the Airbuses continue to fly on legacy Virgin America routes while the Boeings stick to legacy Alaska routes, but that’s about to change. I spoke to Alaska’s VP of Capacity Planning, John Kirby, about the airline’s plans for this Fall. If you fly Alaska, you’ve undoubtedly noticed all these changes coming into the schedule, but now the big changes should be mostly done. Tweaks will continue, but not at the same dizzying rate we’ve seen. Instead, now the focus goes on to getting the right airplane on the right route. With the reservation system (PSS) cutover completed, Alaska now has fewer obstacles to swapping airplanes around. Sure, it still has to prepare airports for the Airbus if they haven’t had them yet by doing things like re-striping the gates, getting the right ramp training, having the right tooling, etc. But that’s not merger-related; that’s just normal things you have to do when introducing a new fleet type to an airport. We’ve seen some fleet swaps already, though primarily in existing Virgin America stations, but you can expect to see bigger moves when the Fall schedule is finalized later this month. I suppose before we talk about the fleet plans, we have to talk about the fleet itself. Here’s a brief rundown of how things look today. With this new combined fleet, you really have three categories of airplanes that look fairly similar but could act differently when properly scheduled. In general, as John explained it to me, the idea is to best match airplanes by capacity and range to the markets in the Alaska system. On the small end, you have the 737-700 and A319. With the retirement of the 737-400s (including the combis), the 737-700 has become the airplane for the state of Alaska. Sure, it dips down into the lower 48 with flights to Seattle and Portland, sometimes going beyond, but this airplane does not have ETOPS and has been centered around operating in Alaska. John did mention that the state of Alaska is performing well, even with the big increase in capacity once the combis went away. He did, however, note that they “may have a little more lift” than they want to have, so there could be tweaks. But he told me that if they were to consider a smaller airplane, like the Embraer 175, it would be years away. “We don’t want to have another misstep like we did with the Q400s.” Alaska is a hard operating environment, so it looks like the 737-700 is going to be there for some time. The A319 on the other hand, is a pretty small fleet that will be used strategically on routes that need more frequency and less capacity on each flight. The A320 fits into this bucket as well. Sure, it’s similar in size to the 737-800, but the A320 has fewer seats overall (and far fewer premium seats until the reconfigurations begin later) plus it has worse range. You can already see where these airplanes are being used in some early schedule changes. This summer, for example, about half the flights between LA and Seattle are on an Airbus. LA to San Francisco is almost entirely Airbus as is San Francisco to Seattle. These are markets that require huge frequencies for the business traveler, so having fewer seats on each flight isn’t a problem. And the flights aren’t all that long, so range isn’t an issue. The bigger 737s will still be used as the workhorses of the fleet. The -800 will continue to do transcons that don’t have enough demand for the larger -900, it will also fly Hawai’i, and it’ll do intra-West Coast flights as always. The -900 will will have similar missions, but it will focus on those places that need more capacity. Think about markets like New York’s JFK or Newark, places that are space-constrained so Alaska needs to put as many seats on each flight as it can. That leaves the A321neo. There are only four of these in the fleet, but the good range and high capacity make this ideal for Hawai’i and Washington/National flights. That’s where you can expect to see them flying for the foreseeable future. We’ll learn more of the details at the end of this month, but purple mood-lighting may be coming to an airport near you soon. I remember reading about B6 A320 range limitations years ago, surely VX and Airbus have overcome those so they could reliably operate BOS-SFO in the winter. Right? The addition of winglets on the 320’s certainly help a bit with their range, but B6 mostly solved the problem by using 321’s in their mint configuration. While the 321 has worse range than the regular 320, only flying 159 seats on it allows it to reliably do the longer flying out of BOS (SFO, LAS, LAX, SAN, SEA). Most legacy routes that are still on 320s will get weight restricted in the winter if range is typically an issue (ie if it’s a westbound flight in the winter and weather is being forecast at their destination, and are already close to their max range they’ll block 5-10 seats on the plane from being sold). On a day when a 320ceo tech stops BOS-SFO the 737 800 either blocks 20+ seats or tech stops as well. The VX/ now AS 321 neos are the right A/C for this. Even in the VX seat config. with 185 seats no 737 can touch it! If you were comparing the -900ER with the A320, the first part of what you stated would be true, but that is not the case with a wingleted -800, and there’s years of operational data to support that which is why you see airlines that have both types not using A320’s as heavily on longer transcons, and which is why JetBlue was unfortunately somewhat notorious for this westbound in the winters and didn’t have many options to improve it prior to the A321’s and mint. SFO is of course a bit unique given that arrival rates there can become heavily restricted and screw with inbound traffic. You’d think so, but not necessarily. A320s routinely made tech stops in Utah and Colorado this past winter when flying BOS–SFO. Having 737s on that route next year will be a big improvement. Well, in 10 years at Virgin, I only had to do 3 tech stops without restrictions. 2 of the 3 were since Alaska took over. They need to get out of their “Boeing head” and start getting more 321’s. It is a game changer that Boeing has no answer for!! I didn’t realize the VX fleet was that large. Seems to a layman like me that phasing out a fleet of that size will take time, assuming AS will go back to their roots of a “proudly all Boeing” fleet someday. It’s curious, all the DL flights I’ve taken in and out of SEA have been on Boeing metal as well with their very non-loyal fleet mix. Although technically Boeing is Chicago based Seattle still seems much the company town. DL will use Airbuses on some routes in SEA. HKG is an A330, ORD is an A319. There surely are others. A330/B777 is seasonal SEA-HKG. Right now it’s the 777. A319’s and A330’s are pretty common sights in SEA…along with the 717, 737, 757, 767, and a slew of Compass E175’s. The DL MD88/90’s and A321’s are rarer (if ever) sights. We can only hope they phase out the Renault of the Skies, the “Scarebus”…..
Boeing 737 11.7” cabin width. The seats in an Airbus are actually 2” wider than a Boeing. And on average each A320 economy seat is about one inch or less wider than the average 737 economy seat. 6.8 is accurate and correct. Kris your information is grossly inaccurate. I’m thinking that was meant to be a reference to an 18″ seat vs a 17″ seat on an Airbus. It’s one reason I like the 320 over a 737 as a passenger. IIRC, the 1″ seat width difference comes from the 6.8″ wider cabin. That inch makes a difference in shoulder room. This is an old thought process. Today’s airbus is every bit as reliable, and WAY more comfortable. Since Boeing decided to stop building the 757, the 321neo is a perfect answer. You can keep stretching a 737 as long as you want, but the width can never change. Boeing needs to bring back the 757 or something comparable to compete against the luxury of the 321. It’s the difference between a Jeep and a Lexus…both reliable, but one offers superior passenger comfort. My early-morning AS flight from SEA-SFO 5/5 was on an Airbus and I hated it. I’m MVP Gold and missed 1st class by one spot because there are only 8 F seats… no little chocolate bar, no “thank you for flying with us” by-name greeting, no free wi-fi… in short, it was not the Alaska I’ve loved. And on the way back early morning 5/7, SFO-SEA was on a Boeing plane but they served trail mix containing peanuts or fig bars instead of Biscoffs. I’ve got a severe peanut allergy and this freaks me out. If AS switches to all peanuts, all the time, I will have to move my business… I already can’t fly Southwest because of it. The Airbuses will be reconfigured to look like every other AS plane with 12 F seats and more Y+. AS has fewer F seats on its planes compared to its main competitor at SEA, DL. A DL 738 or 320 has 16F and a DL 739 or 321 has 20. AS has one less row for some reason. Like you, I have a peanut allergy. And while my last trip on Southwest late last November was terrible (they flat out failed to provide wheelchairs or attendants to the five disabled pax on my flight, which included the person I was traveling with), I have never had any problem with how SWA handles the peanut allergy. The rest is on me to bring antibacterial (or rubbing alcohol) wipes aboard and to promptly do an intensive wipe down of the tray table, seat pocket, seat belts/fasteners, the overhead air nozzle, etc., plus the nooks and crannies in and around the area where I’m seated. …but whether the airline throws peanut parties (like Southwest) or not, more often than not, peanuts turn up few and far between during those wipe downs, but everything else seen on EVERY airline often is what’s truly revolting! What about landing minimums in Alaska and the Airbus? I remember when Delta was pushing into (the state of) Alaska they would sometimes have to turn back to Seattle, unable to land due to weather, while Alaska’s 737s could complete the same route because they had upgraded nav equipment and pilot training. Will the Airbus face the same problems in the winter? Airbus is very capable of landing in low visibility. I was on an A320 that landed in 300′ of visibility with autoland. It all depends on how the airplane is equipped and pilot training. Airbus is capable as long as it has the right equipment. Do the VX planes have CATIII, auto land capabilities with HUD? Are they authorized to do that by the FAA at those specific airports? Are the pilots trained and certified to fly in SE Alaska and the arctic like the Alaska pilots are? the ANC & SEA base have only a certain number of pilots who are qualified to fly Southeast. Since 2009, I can’t remember a time Alaska cancelled a flight due to lack of crew – so they are doing something right. Dean – Did I accidentally imply somewhere that A320s would be flown in the state of Alaska? I didn’t mean to do so. You can expect that to remain 737-700s primarily, though there’s a mix of other 737s that will fly from the lower 48 into Alaska. Hmm . . . I guess not on second read. I was left with that impression on the first. Approaches into JNU are probably what you’re thinking of, and Delta did indeed have operational and reliability problems with JNU when they first built up SEA. Alaska has 20+ years of experience perfecting RNP approaches into JNU on the 737, I doubt that’s a station they’re planning on making many changes to equipment wise. Delta now has its own RNP for Juneau and uses it on its 737s. I think the question to be asking is “Will the Airbus fleet be upgraded to the same heads-up-guidance and navigational equipment that the Alaska Boeings have”. and honestly, the major issue really isn’t getting IN to Juneau (my home), but getting out. Lots and lots and lots of turbulence/wind from the surrounding mountains can flip a 737, 757, or Airbus in seconds… so there are special weather stations littered throughout the peaks & valleys in Juneau. Alaska Airlines actually used to have 1 person at the station whose sole job it was to monitor the winds and conditions, not just at the airport, but all around the airport. If you get bored, just google “Taku Winds”. Douglas & downtown can see gusts of over 100 mph on a regular basis. Just imagine what that will do to an approaching 737, going only 160 mph. Why does it make sense to fly the 739 to NYC and the A321 to DCA? Wouldn’t it make more sense to swap the two based on your reasoning? Jim – That’s not my reasoning, just what John told me. I’m guessing it has something to do with the short runway at National and the 321neo has better range off that runway. The 321 NEO is superior in every way to the 73. Hopefully we get smart and order a boat load of them and the 321 LR. The Max has nothing to compete!! The -900 has a long takeoff run because of its length and shallow rotation angle. At max takeoff weight it needs over 9000 ft of runway, DCA needs better short field performance than that because of its runway lengths. This is why Alaska currently operates the -800 from SEA, PDX, and LAX. The 739 is a runway hog. It probably couldn’t take off from DCA with a full load of passengers and enough fuel to make it to the West Coast. I would guess that the inability to use a 737-900ER/MAX 9/MAX 10 for transcon flights out of DCA might be the biggest barrier to Alaska going all-Boeing again. Yet another reason they should have max’ed the 757s. Hell the old 757 had no problems at DCA. Newer isn’t always better. If they go “all Boeing” that would be a colossal mistake! I certainly hope they are smarter than that! and yet one of their largest customers “AA” just cancelled all remaining order of Airbuses in way for a new E175’S. So if the worlds largest airline, with the most routes is dumping the brand/aircrafts.. you should too. American still has 100 A321s on order. That really doesn’t make sense. An E175 is about 40 fewer seats than an A319. I don’t think AA is making a decision between these two aircraft types. With Alaska finalizing some 737 Max orders this week, and upgauging a bunch of them from Max8 to Max9, the Airbus fleet is not long for this world. Most of the Airbus fleet is leased, including all of the 321 neos. They basically had to either figure out a way to offload a bunch of aircraft and acquire new/used 737 (a-la WN and the FL 717s) or figure out a way to use the Vx Airbus fleet. Sounds like they’ve figured out how to optimize all of their jets for the next 3-4 years until they can transition back to all Boeing. I think they are reaching the size where the efficiency of a single fleet type may no longer outweigh the preferential pricing of competition and operating expense of matching right plane to right mission. It will be interesting, though to see what happens in a few years as the leases end! Alex, This isn’t entirely true. The A321s were purchased by Virgin not leased! Alaska is on the hook for 10 of them. There are also a few 320s that are owned as well. Most of the 319 and 320 fleet are leased. IMO, If Alaska wants to compete in the future they will have to migrate away from the single aircraft type…. Actually we own 5 of the NEO’s and the Max 9 can’t even get into the ballpark of the bus. The LR just flew 4750nm and could have flown farther had the headwinds not been as strong. And by the way, to replace all 73 of our Airbus would take 5-6yrs, if not more. That translates into 0 growth for all that time, unless you are including E175’s as growth. Which it IS NOT!!! First time comment here to let you know I already found this out. Just last night I was notified that my Alaska DAL-LAX trip was changed from 737s to A319s, and the Saturday morning flight back to Dallas was moved from 8:25 to 11:25. What a dud of a first post, you’re right, the flights were originally A320s. There was still a shuffle. What did Kirby mean by “We don’t want to have another misstep like we did with the Q400s.” ? Alaska moved some Q400s to the state a few years ago. I flew one from ANC to FAI in 2014. I’m not aware they didn’t work out well, but apparently not. Anthony – As was mentioned by another, the Q400 went into Alaska between Anchorage and Fairbanks. I don’t know the full details of what happened, but it didn’t work well and they pulled it out. I fly Anc-Fai 3 times a month, and what did in the Q-400 was a mix of maintenance issues and staffing. They were having to fly them back to Portland for heavy maint a lot more often than they expected, and in winter they could only overnight the aircraft in Anchorage, no leaving one in Fai or Deadhorse overnight then flying out first thing. Pair that with their pilot shortage(one of my employees flew afternoons instead of evening flights and had 3 hitches in a row where his mid day flight was out and out canceled due to staffing) and that lead to them pulling out the Q-400s a few months ago. I suspect if they hadn’t been overloaded dealing with the merger they might have come up with solutions given time, but they didn’t have it. Alaska tried to trade off jets with higher frequency on the Q400. Except the QX shortage bit them. And the weather. And maintenance. 2 operational “lines” of flying with 1 spare is NOT efficient. I’m surprised AS didn’t bring up more Q400s though – I’m surprised they didn’t consider running those to Dutch Harbor. The Airbuses do not have enough F or Y+. I think they should be on the short hops where fewer people are interested in buying a more premium product until AS gets around to re-configuring those planes. I’m also not a fan of selling the exit window rows as premium economy. While you do get more legroom, you also get a less padded seat. AS and DL got it right by putting all the Y+ seats ahead of the window exit rows. Well, if I was interested in buying F, I would much prefer to do that on an AS Airbus with the VX seats than on an AS Boeing. Those seats would be pure upgrade opportunities for me. 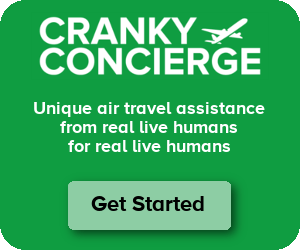 Cranky, why *wouldn’t* AS fly Airbus out of SEA? Isn’t this actually a really good way to remind Boeing of their new negotiating power, if anything at all? I kind of doubt it matters at all, but *if* anything, I’d think that it’s Boeing that wants to be nice to Alaska, not the other way aroud. LRK – In Seattle in general, yes, there are already Airbuses flying. But on what is effectively a Boeing corporate shuttle to Charleston? Not a smart plan. Just as a slight update – there are 5 A321s in the fleet currently: N921VA-N925VA. N926VA is also making it way into service. I believe there are still 4 additional on order as well (but I’m not fully sure of delivery schedule…). Thanks Dogtor. I know there was a discussion at some point of delaying the remaining orders from the 10 firm, but I don’t know where that ended up. They also have N927VA that just came into service and is painted red and blue. Ah, there it is flying SFO-DCA this morning. I guess it’s 6 A321s, soon to be 7 when N926VA shows up to the party. BTW the “More to Love” livery IMO is beautiful! Chester never looked so swanky. It certainly is… I hope Gemini, Herpa, etc will offer model aircraft wearing those colors. I’m scheduled SEA-BOS on Monday and return on Friday. Current equipment is 739 and I hope it stays that way. It will. That is standard equipment for BOS and JFK out of SEA. I’ve flown both routes and have had great flights in both directions. I’m wondering how intentional this is… I assume that this flight at 745AM can tolerate a ton of capacity, so maybe they’re running a little experiment on loyalists? 1) the close scheduling is just an oddity that’ll be gone when the AS/VX integration is finished. 2) 7:45 is indeed the favorite departure time for high-fare business travelers on their way to LA, and one aircraft isn’t enough. 3) Alaska needs two aircraft in LA shortly after 9:00 for outbound flights going to different destinations. It’s interesting that Alaska has shifted into Hawaii lately – I wonder how Southwest thinks about that.. Please focus on the Airbus (especially the neo) and drop the Boeings! The new Boeings are deadly! Alaska currently has 8 A321neos, not 4.